A good red blazer is hard to come by. It is also especially important around the holiday season. The one I'm wearing below I found at Kohl's from the Lauren Conrad Collection last winter. It fit right in with all my other boldly colored blazers, and it was under $50. No complaints here. Since then I still keep my eye out for good red blazers, out of habit I suppose. The only other one I have come across that lives up to my expectations is this one by a new brand called Q Mack at Macy's that has the most adorable line of mix-and-match separates! 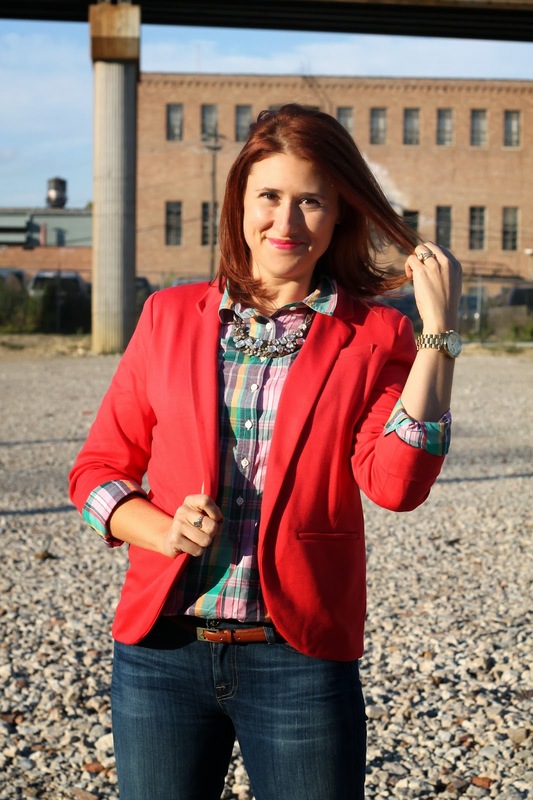 Take a look below to see their perfect red blazer as well as some of my other picks. Hi Jill! I'm glad to meet new bloggers and Rewardstyle has the best parties! I actually didn't take the pictures though, I requested them from the Rewardstyle team because I knew they were taking a few! I hope to see you around - I'm excited to hear about he upcoming event - I'm always coming in to the city for events. 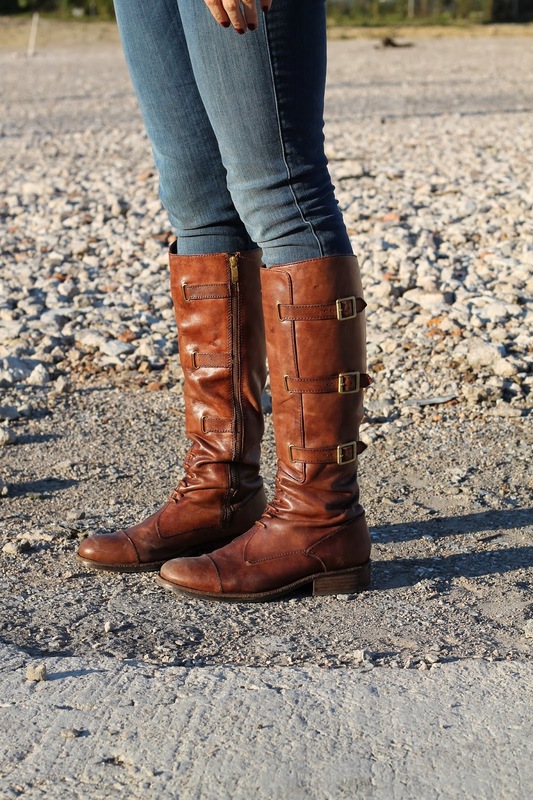 Oh and... this is my idea of the perfect fall outfit! Love the plaid, the boots, everything! I just ordered a red blazer from The Limited and I hope it's as cute as the one you have on!